The DKN vinyl kettlebell is designed to help you develop functional strength, endurance and core stability as well as tone your muscles. It has a solid weight of 16kg (35.3lbs) and a strong moulded construction with an ergonomically designed handle that provides an easy and comfortable grip. This vinyl kettlebell is equipped with an anti-slip base for extra safety and supplied with a detailed chart showing how to exercise with it. 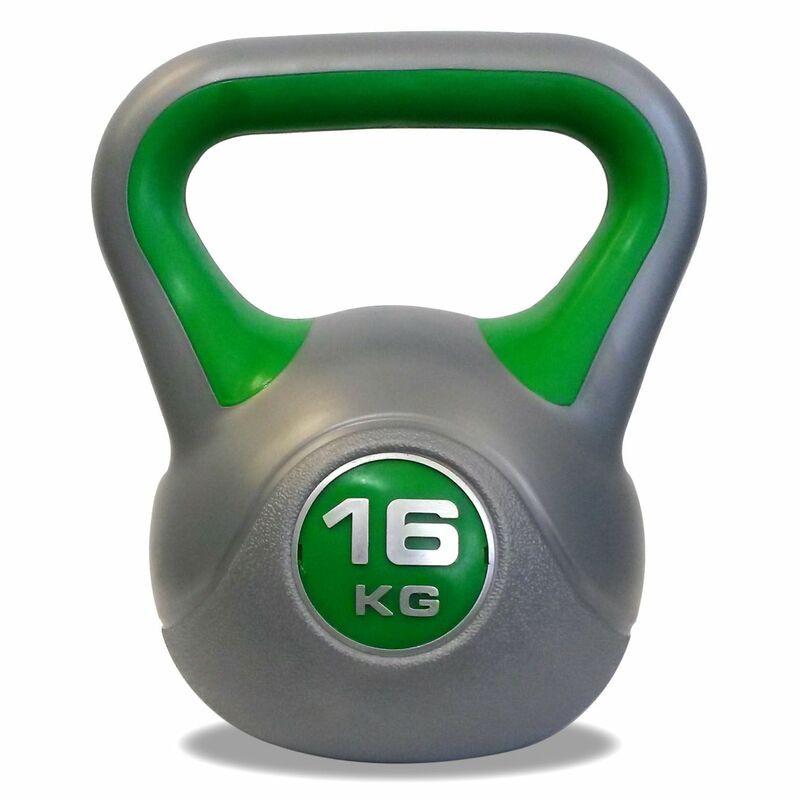 for submitting product information about DKN 16kg Vinyl Kettlebell We aim to answer all questions within 2-3 days. for submitting product information about DKN 16kg Vinyl Kettlebell. We aim to answer all questions within 2-3 days. If you provided your name and email address, we will email you as soon as the answer is published. The kettlebell is very bulky to hold, I wish there had been dimensions on the website to show how wide the handle is at the top. It is very hard to grip. 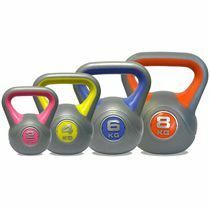 I ordered 2 of these to use at home after I first tried kettle-bells at my local gym and found they use more functional strength than other types of lifting. Gonna need to order some heavier ones soon as I've gained a lot of strength since implementing these in my routine. Love using kettle bells as they provide a different sensation than traditional barbell/dumbbell routines. Much cheaper than the iron alternative and still works just as well! Came very quickly and these are very good value at the price. The handles are big so you can use both hands for exercises which is handy. for submitting product review about DKN 16kg Vinyl Kettlebell.